at 3490 Southwest Graham Street, Seattle. Upton Flats has a total of 102 units. From Upton Flats: Lease today and receive up to 6 weeks free on all apartment homes! 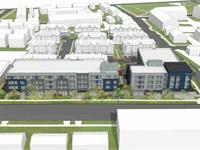 Welcome to Upton Flats – West Seattle’s newest apartment community. 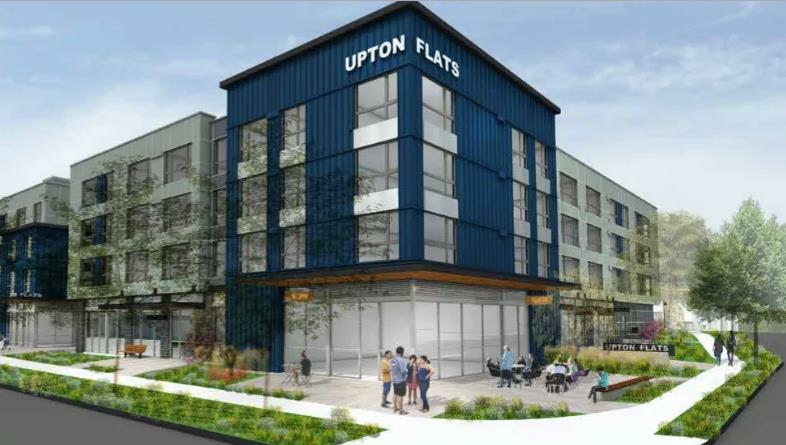 Live at Upton Flats and enjoy all that West Seattle has to offer: urban living with laid back vibes, convenient access to bus services to downtown Seattle, close proximity to beautiful Lincoln Park and Alki Beach, and breathtaking views of the Olympic Mountains and Puget Sound. Traveling by ferry boat has never been easier, located only a few short miles away, enjoy the fresh air onboard the Fauntleroy Ferry or the water taxi that travels to Downtown Seattle. 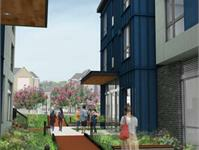 Our elegantly designed urban mid-rise offers studios, one and two bedroom apartment homes. 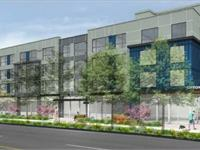 Also available are live-work units, which feature an office and residential space, all in one, with street side access. Each residence offers modern interior finishes which include a gourmet kitchen with quartz countertops and stainless steel appliances, expansive windows, washer & dryer, and abundant closet spaces. Our onsite amenities include a state-of-the-art fitness center, a fully equipped bike room for repairs and storage. Our residents have the luxury of a secure parcel room, an expansive indoor lounge equipped with a gourmet kitchen to host social gatherings and community events and a ground level court yard. Our community features two roof top decks with lush landscaping, outdoor BBQs and open seating to meet, mingle or simply relax. Work from home? Enjoy the convenience of our onsite conference room. We are within walking distance of casual eateries, funky shops and bars and a thriving art scene. In addition, we are located on the metro line making your commute to downtown Seattle a breeze. No matter what you’re looking for, this is the place for you. 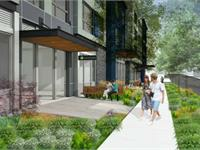 Experience life at Upton Flats, Seattle living at its best. Each residence offers modern interior finishes which include a gourmet kitchen with quartz countertops and stainless steel appliances, expansive windows, washer & dryer, and abundant closet spaces. Your inquiry will be delivered to the Upton Flats leasing team, who will send you more information about this development.